Rental Stairlifts short or long term hire. No contract from less than £10 per week! Straight Stairlifts to rent from £40 per month! Rent a standard straight stairlift for less than £10 per week! Rental stairlifts are a cost effective alternative to buying a new or reconditioned stairlift. There are certain situations where buying a stairlift may not be the sensible option. For example, when getting over a short term illness or operation, or maybe you just don’t have that kind of disposable income to spare? This is where a straight stairlift rental could be the answer. 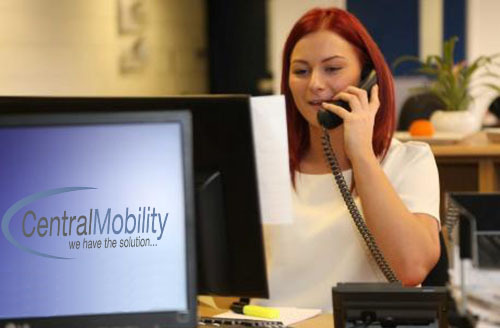 Renting a straight stairlift from Central Mobility couldn’t be easier. With no minimum or maximum contract periods to worry about you can hire one of our rental Stairlifts for as long or as short a period as you like. In fact, once you’ve paid the combined one off installation and removal charge, it’s more like a 'pay as you go' scheme and completely flexible. FREE Servicing, Repairs & Maintenance FOR LIFE! What do stairlift rentals include? With a straight rental stairlift, all stairlift servicing, maintenance and repairs are covered by your monthly premium. In the unlikely event that your rental stairlift should breakdown then we will either repair it or replace it, FREE OF CHARGE. We also provide a free phone number and a text service for technical support leaving you with one less thing to worry about. How much is it to rent a Stairlift? A rental stairlift costs surprisingly less than you think. There is an initial installation charge which starts from just £350. This also includes the removal costs when you no longer require it. Our monthly rental charge is just £40 for a standard straight stairlift. 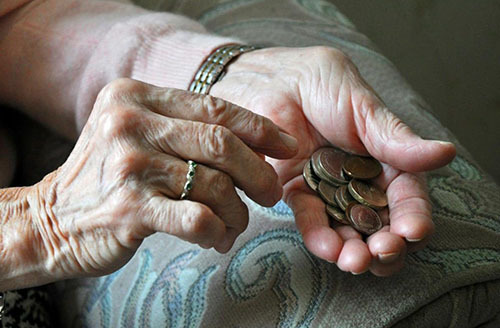 The first months rent is due in advance on the day its installed, leaving no outstanding balance when it is removed. What are the benefits to renting a Stairlift? When you rent a Stairlift from Central Mobility there are no hidden costs and all servicing and maintenance is included in the monthly fee. When the time comes and it is no longer needed, you don’t have to worry about finding a buyer as we will collect and fully remove the hire Stairlift at no extra charge and with no damage to your property. Will the rental Stairlift fit on my stairs? By looking on our ‘how to measure your stairs’ page you can quickly determine whether or not they are suitable for a straight rental stairlift. If you follow the guide and make a note of the measurements shown on those diagrams, they can be entered into the contact form below with some photos of the staircase and then we can confirm this for you and advise accordingly. Most staircases are suitable when hiring stair lifts and our hire stairlifts are mainly all slimline models with the exception of our wide seat options. Which types of rental Stairlift can you hire? Our standard straight Stairlifts for rent are modern, within three years old and in excellent condition. 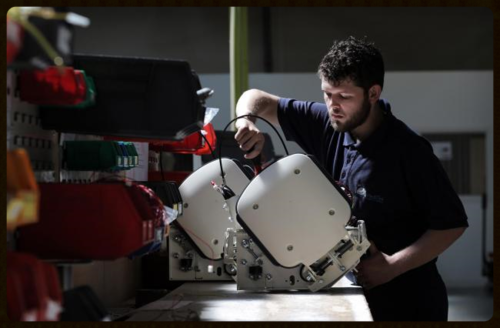 They are all fully serviced prior to installation and come with practical and hygienic wipe clean surfaces, easy to use controls and simple diagnostic displays. If you like the idea of our stress free rental service but would prefer to have a new rental Stairlift installed then this can be arranged on special request at an additional cost, subject to location and specific requirements. Please email your enquiry for a new straight stairlift to hire here. How does it work and what do they cost? To rent a standard straight stairlift there is a one off installation charge. This covers both the initial installation costs and the removal costs. Our installation charge starts from £350 and the monthly rental charge is from just £40 per calendar month with no fixed term or contract. The first months rent is payable when the hire Stairlift is installed and then after that it is collected every month by standing order until the rental Stairlift is no longer needed. For our Superior and new range of Stairlifts to hire, please call for prices. We mainly provide our rental Stairlifts in Leicester and within a 70 mile radius but we have carried out many installations outside of this area. We have a large number of rental stairlifts in Coventry and receive a lot of enquiries for stairlifts to rent in Birmingham. Our engineers are frequently fitting rental stairlifts in Nottingham and we have plenty of stairlifts to rent in Northampton. If you use our guide on 'how to measure your stairs' and send us the measurements with some photos of your staircase then we will happily look at your location and provide a competitive quotation for stairlift hire. If you are not sure if a straight rental chair lift would fit on your staircase then you can take a look at our simple guide on how to measure your stairs. We explain all the key things to look for and how to take simple measurements. These can then be emailed to us (along with any pictures using our simple upload facility) for a quick reply using the simple form provided on that page. Alternatively, you can complete the form below giving details of any preferred options or requirements. Please complete ALL the fields below and then provide us with as much information as possible in the message box such as any special requirements (powered swivel, hinged rail etc). You can use the file upload option to attach pictures of the staircase, power points or possible areas of concern such as radiators, doorways or restricted access. If our straight rental Stairlift scheme doesn't appeal to you and you would prefer to buy, then click the links below to see what offers we have on our new or reconditioned straight stairlifts. If your stairs have one or more bends in them then you may prefer to look at our full range of curved Stairlifts instead. Depending on budget, we have both new and reconditioned options available. "When my father was diagnosed with COPD we contacted Central Mobility to rent a straight Stairlift. They came out the next day and installed it with no mess or fuss. My father was able to be at home with his family when it mattered most. I would highly recommend them to anyone"
"My mum was looking for a straight Stairlift but was put off by the overall cost to buy one and the pushy salesman trying to sell it. I made a call to Central Mobility and they suggested their rental stairlift scheme. 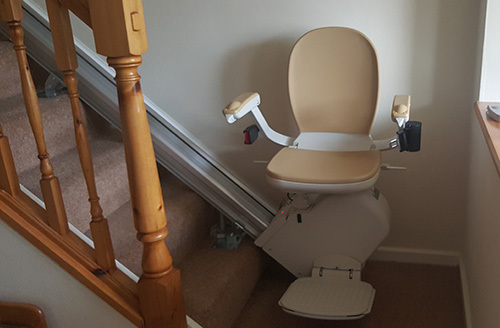 For less than £10 per week my mum has a modern Stairlift with no bills to worry about"
"We rented a straight stairlift from Central Mobility for my mum so she could stay at home. She rented it for 4 years and in that time the batteries were replaced and it was serviced, all included in the price. Mums in a home now but she would have been there sooner without it"
"When my mum couldn't get up the stairs anymore we decided to look for a stairlift. We found that buying one was quite expensive and wasn't sure it would be long term use or not. 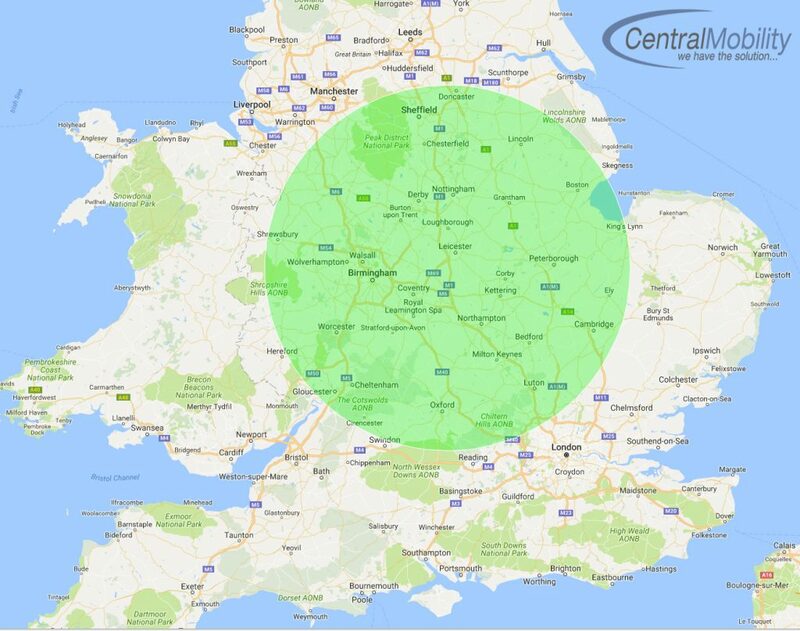 We found that Central Mobility rented them & from that day on 5 years ago we've been very pleased. Mum is now in a care home and they came to remove it without a problem. We will definitely use them again and recommend them to friends & family"